Set fire to your vector art stock library. Large image collection of graphics representing fire. Flames with different shapes and colors, big match stick and many abstract designs decorated with flames. 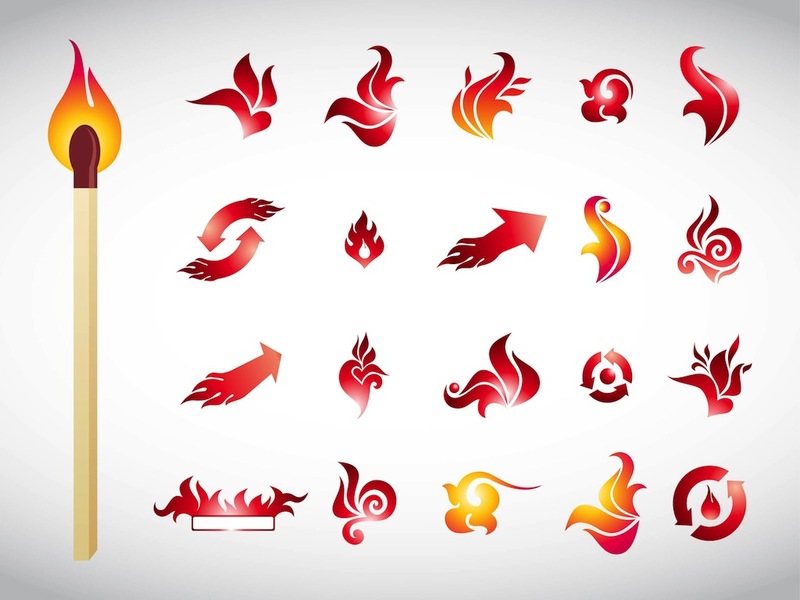 Free vector icons for all fire, flames, burning and heat designs. Perfect for to use as company logos, stickers and poster decorations. Tags: Burn, Burning, Fire, Flame Vectors, Heat, Hot, Icons, Logos, Match Stick.